What celebration would be complete without a little gift guide? 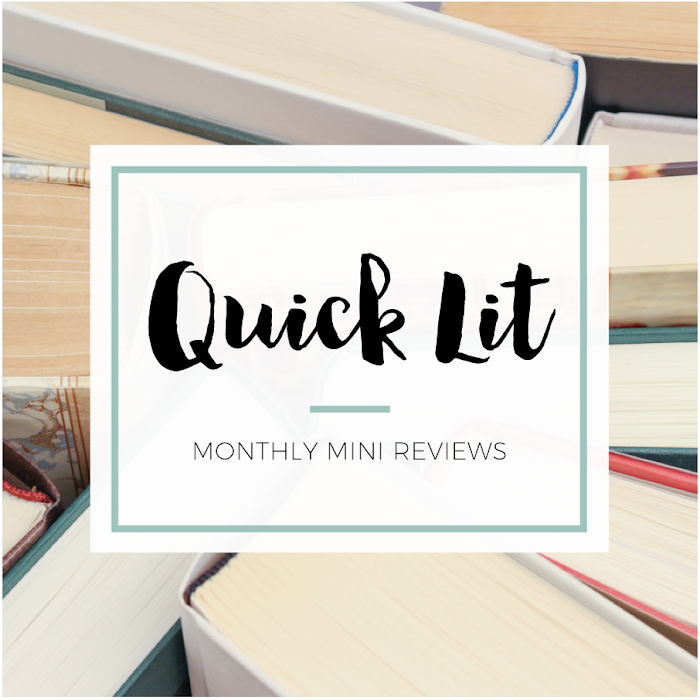 Today, I've got five gifts and three books that are sure to delight any Audrey Hepburn lover! And this barely scratches the surface of what you can find. 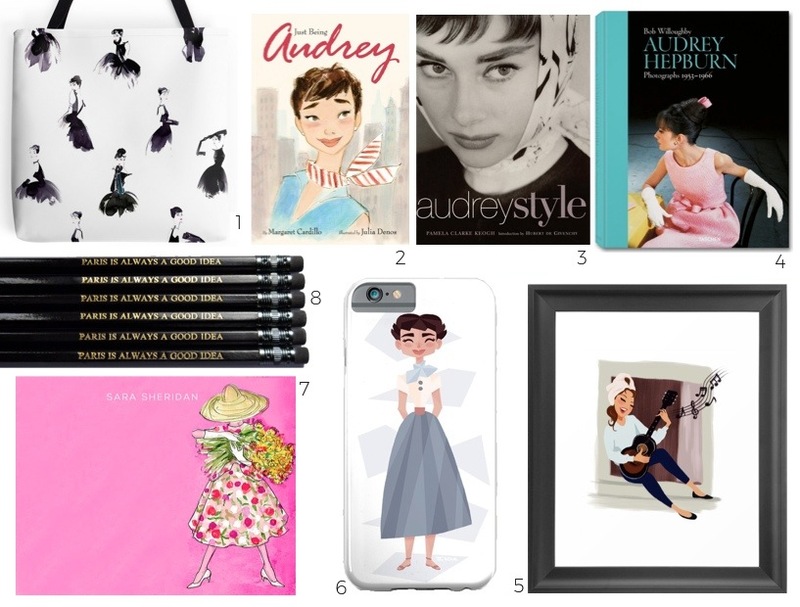 Audrey's image is recreated everywhere - on mugs, prints, notebooks, tote bags, phone cases, and more! 1. Audrey Hepburn Tote - Audrey Hepburn in a little black dress is absolutely iconic. I love the elegance of the illustrations on this tote bag, and I could totally see myself carrying it around! 2. Just Being Audrey by Margaret Cardilo - I found this book while working on this post, and now I must own it. It's a children's book about Audrey's life - and the illustrations look absolutely gorgeous. 3. Audrey Style by Pamela Clarke Keogh - If you love Audrey's style, I absolutely recommend this book. There's a biography element to the book, but it focuses more on her fashion and the things that influenced it. 4. Audrey Hepburn: Photographs, 1953-1966 by Bob Willoughby - I wanted to include The Audrey Hepburn Treasures in my gift guide, but it's sadly out of print. So, I'll suggest this gorgeous book of photographs instead. 5. Moon River Art Print - I'm in love with this illustration of Audrey singing "Moon River" in Breakfast at Tiffany's. My favorite thing is that's it's a scene you don't see depicted that often. I want to sing just looking at it! 6. Audrey Hepburn Phone Case - How adorable is this phone case with an illustration of Audrey as she appeared in Roman Holiday? I've always loved that outfit, so this immediately caught my eye. 7. Audrey Hepburn Personalized Stationery Set - I'll admit that Funny Face isn't my favorite of Audrey's movies, but I do love her outfits in it. 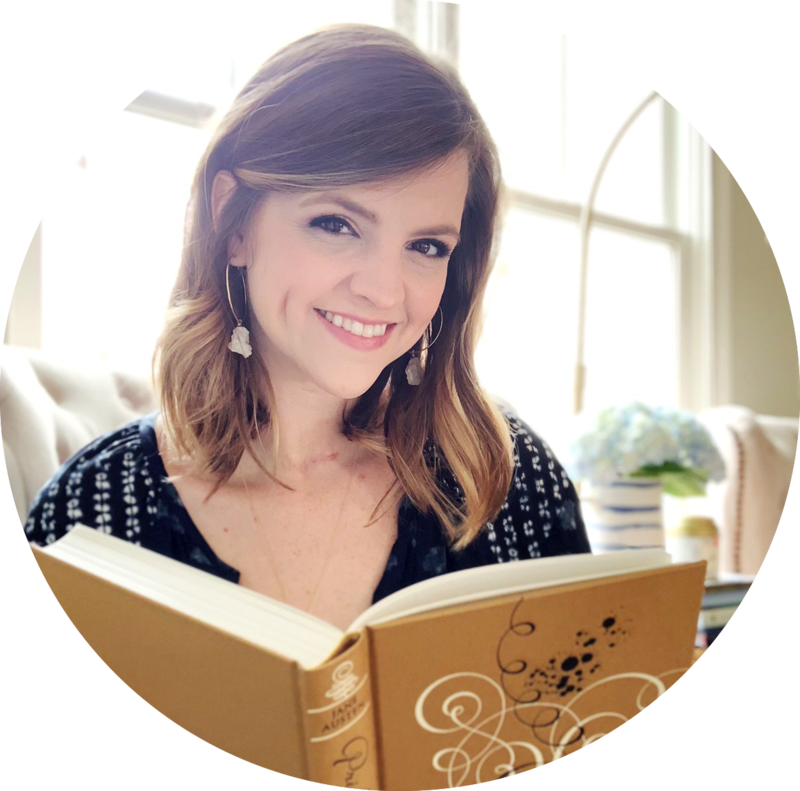 I love getting these personalized or monogrammed, especially stationery. 8. "Paris Is Always A Good Idea" Pencils - This is such a great quote from Sabrina, and I think these engraved pencils are a fun nod to the movie. You can write letters to loved ones like Audrey does while she's away! The tote bag! The print! The children's book! The pencils! This post is seriously just filled with the most adorable, lovely Audrey Hepburn related goodies, and I love it.